We’ll always do a comprehensive oral exam at your first dental wellness visit. We might also do one if you are coming to meet with us about a specific issue but would also like a more thorough understanding of your overall oral health. A comprehensive exam includes an extensive evaluation that starts with a health history and a conversation. It also includes looking for the presence of disease in your teeth or gums, assessing the alignment of your bite, and making notes of all of your existing restorations like fillings or crowns. We’ll get some baseline data to use moving forward, to see how things change over time. At the end of the exam, you’ll leave the office with a custom treatment plan. If you haven’t come to see us in over three years, we’ll do another comprehensive exam to make sure we’re up to date on the latest developments in your health. This is the exam portion of your routine dental wellness visits when you spend time with your dentist. It’s usually done every six months and allows us to update the information we have on file about the health of you and your mouth. We’ll look for any signs of cavities, bone loss, weakness in existing crowns or fillings, gum disease, wear and tear from grinding or misalignment, loose teeth, or infections. If we spot areas of concern, we’ll work with you to develop a treatment plan to address them. We’ll also review your health history for any risk factors and give you advice for making the most of your home care. As you might have guessed from the name, a limited exam is very focused in scope and applies to visits when you come to see us with a particular problem. During a limited exam, we’ll diagnose the cause of a specific concern like pain or swelling. We will not evaluate the overall health of your mouth or discuss any issues unrelated to the primary reason you’re here. Our goal will be to get to the bottom of whatever is causing you trouble and then work quickly to get you feeling better. We can often begin treatment on the same day we perform a limited exam. In almost all cases, we’ll take x-rays to use during the exam. They let us know what’s happening in tooth and gum structures that we can’t see using our eyes alone. The only exception to this rule is every-other periodic evaluation since we generally only recommend check-up x-rays one time a year and you’ll be having two of these exams a year. X-rays carry a separate fee and are not included in the exam code. 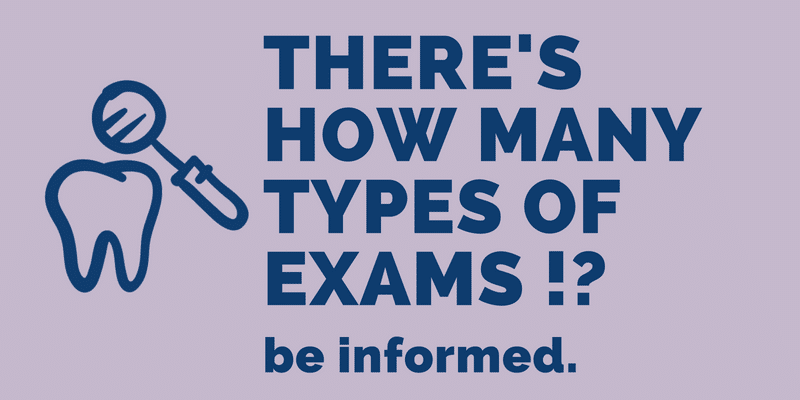 If you have insurance: You’ll want to keep in mind that there’s a good chance your policy will only cover a total of two exams during one year, no matter how many exams you actually need. So, if you come in for two dental wellness visits and then have an emergency that requires a limited evaluation, one of those exams might not be covered by your plan. You should also note that there are some plans that won’t cover both a limited evaluation and treatment at the same visit. So, if you came to visit us with a toothache and needed a filling, your insurance would cover the exam or the filling – but not both.